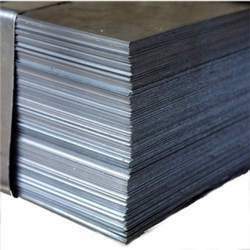 We present a highly qualitative range of Monel 500 Sheets that are known for its features like corrosion resistance, high tensile strength and high fatigue strength. Our range of Monel sheets is highly resistant to salt water and various acid & alkaline solutions. These are available in different specifications to suit the requirement of different industry applications. Our range of products include. We are engaged in exporting a wide range of Monel 500 Sheets that is acknowledged for corrosion resistant, high tolerance, smooth surface and uniform mechanical properties. We have sourced our product range from renowned and trusted manufacturers who have vast experience in the fabrication of monel sheets. Our clients can avail these products in a variety of specifications to suit the requirement of various industries and clients. These products are directly imported by us from European and American Mills and are used in Oil & Gas, Heat Exchanges, Aerospace, Pharmaceutical, Defense. Looking for Monel 500 Sheets ?